Malta, officially known as the Republic of Malta, is a Southern European island country consisting of an archipelago in the Mediterranean Sea. It lies 80 km (50 mi) south of Italy, 284 km (176 mi) east of Tunisia, and 333 km (207 mi) north of Libya. The country covers just over 316 km2 (122 sq mi), with a population of just under 450,000, making it one of the world’s smallest and most densely populated countries. The capital of Malta is Valletta, which at 0.8 km2, is the smallest national capital in the European Union by area. Malta has two official languages which are Maltese and English. 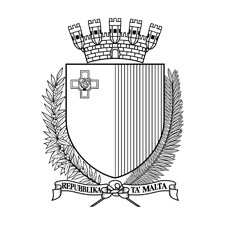 However, the Maltese language is also regarded as the national language of the island.